An elegant and refined Chenin with a rich palate layered with flavors of apricots, yellow apple and gooseberry and a touch of minerality on the finish. Pale straw hues. Aromas of honey, straw and lemon blossom, backed by floral undertones. The palate is rich and layered with flavours of apricots, yellow apple, and gooseberry, with subtle oak supporting it. A touch of minerality compliments the finish, rounded off by peach flavours. 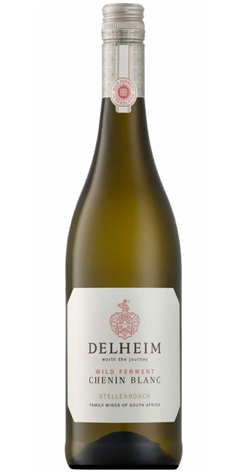 An elegant and refined example of Chenin Blanc. The grapes were handpicked, de-stemmed and only lightly pressed. A portion was taken directly from the press without settling and the balance was settled overnight, after which the 2 portions were blended together again. 34% of this blend was fermented in tank, while the balance (66%) was fermented in a combination of 225L and 500L French oak barrels. Spontaneous (wild) fermentation was done at low temperatures. Both portions were aged for 7 months on the lees, after which it was racked, blended together again, and lightly fined. A coarse filtration was done prior to bottling. The indomitable Spatz was the unwitting pioneer of public wine tasting events personally hosted by winemakers outside the winelands. In 1962 he embarked upon his first 'tasting tour', ferrying himself and his wines by car, train, and plane to East London, Port Elizabeth, and Johannesburg, the first producer to do so. Conservation: By sharing the land amongst all the stakeholders and training people to understand and appreciate - as well as work on - the land, Delheim is fostering a system that yields a livelihood for everyone; one that will continue to do so for future generations. With 375 hectares of land situated in the beautiful Simonsberg Ward of Stellenbosch, Delheim is a keen exponent of the wine industry’s movement to conserve the region.